By any standards this was a good one. 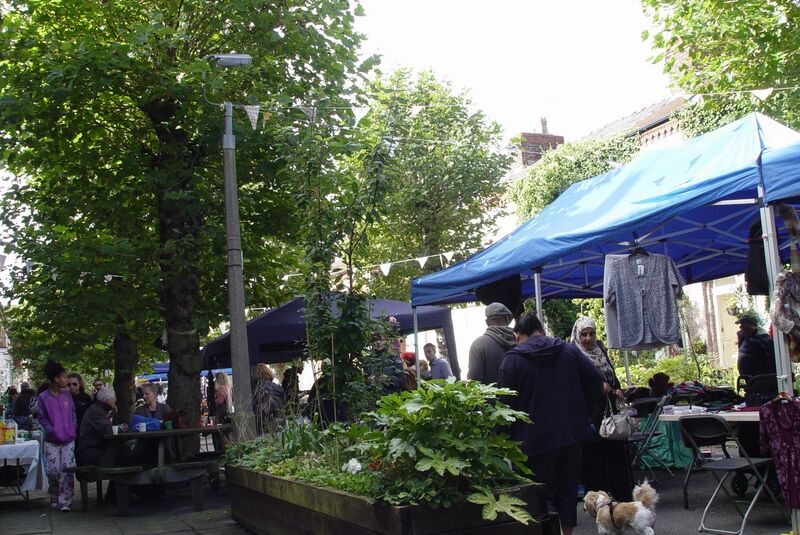 For three years now the people of Granby, in Liverpool 8, have been running their street markets, from April to September each year. Of the people, by the people, for the people. They fill up Cairns Street, one of the four remaining original streets of Granby with stalls and life – and what you’ll see in the short film I’ve made of the day, down below. And they celebrate their place. Celebrating the art of life. Granby, September 2012. And in celebrating their place and what they’ve made of it, they preserve and defend it. It was a privilege to be there today. And see this much joy, in one street. 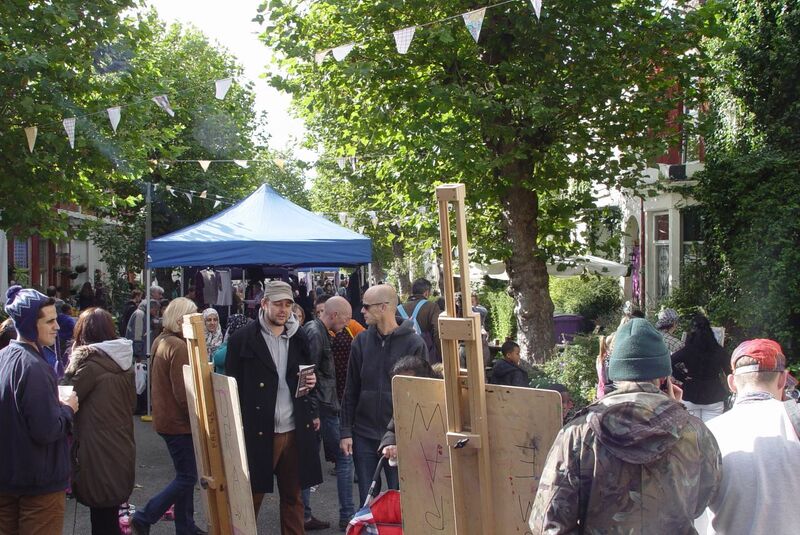 Because the people of Granby 4 Streets decided to have one last party, one last street market this year. And come next spring, we will all do it again! This is a quote from Joe Farrag, one of the Market’s organisers this year. So well done, Joe, Theresa, Hazel, Rosa and all the stall-holders and everyone else who’s helped. Brilliant job! And there’s actually a rumour of a Christmas Street Market…True? “Just wanted to say ‘well done’ to the organisers of the celebrations today. 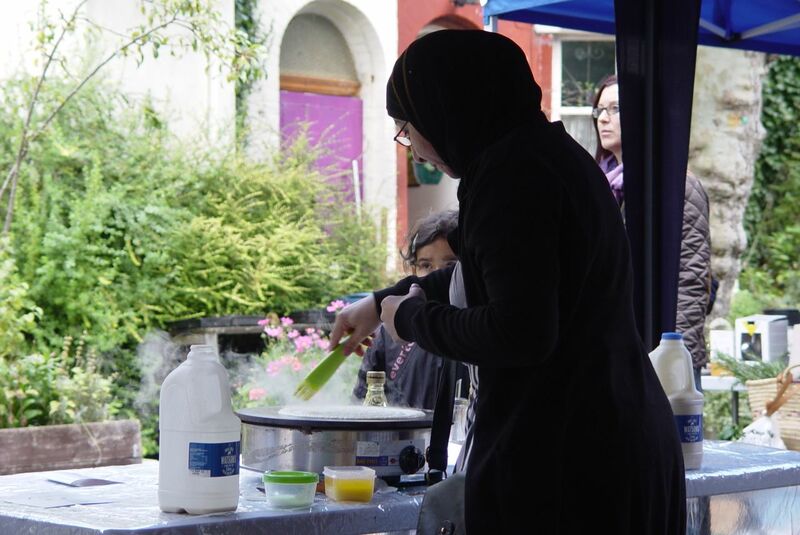 The music, food and stalls were great, so much potential for continious such events. Christmas perhaps? I spoke to a few people who said the market does not usually have music, but I thought the music made the event. More please! I brought my two young children today to show them where I was brought up in the 70′s and 80′s. Seeing how well everyone got on with each other reminded me of how much joy I had playing on the streets of Granby, in particular Cairns Street, Jermyn Street and Beaconsfield Street. The community feeling is still there. I ‘bored’ the pants off my 6 and 4 year old telling them both of my time attending Granby Street school. 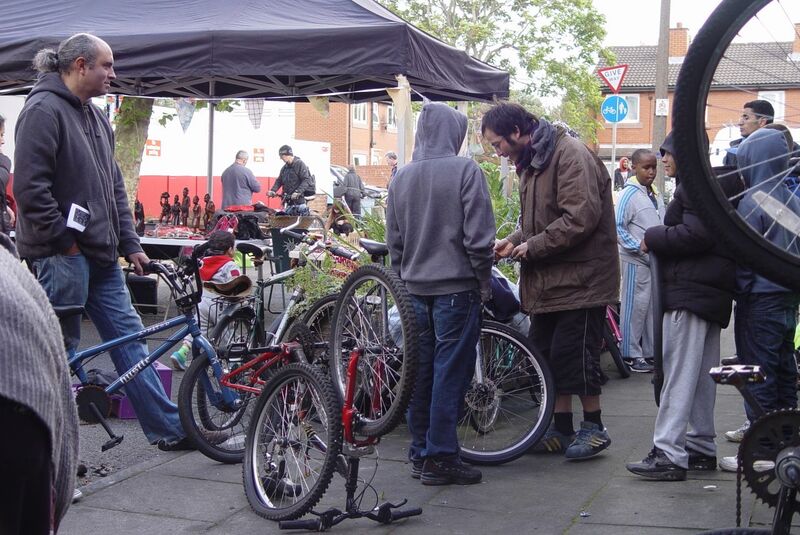 Today was a reminder of how special and what the streets of Granby mean to me and others in the community. 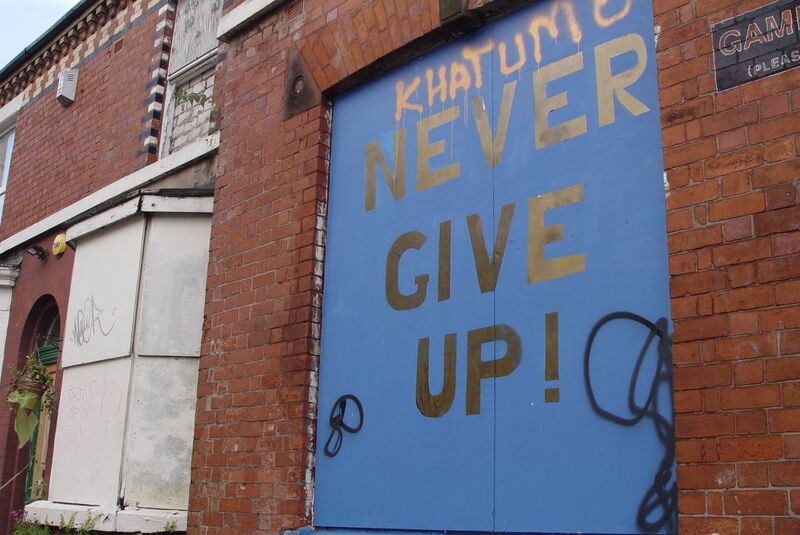 The fight to keep the housing stock must remain until each and every house is restored to their once true glory. The event was a success. What would make it even better would be stalls displaying the finery of the local community now living in and around Granby street. There are such a mix of cultures now, all of whom should be proud to show their food, clothes and music at this event. To make it totally multicultural,diverse and inclusive, just like in the ‘old days’! Once again, brilliant job, everyone involved. Hi George, lovely to hear from you. Hope you make it over here one day. I was part of a discussion on Facebook in the week about your involvement in the origins of The Chants/The Real Thing in the 1960s. Who knows, as you say, maybe we’ll find their modern day equivalents at next year’s 4 Streets markets? Watching the video makes me think how important street markets are in bring people together in a spirit of fun . Wherever we are in the world many of us live out our lives in suburbs that are not designed to bring people together. How sad to see those boarded up houses in the background; mothers, fathers, grandparents,aunts, uncles, children no doubt lived in those houses and took part in plenty of street events though the years. The lovely thing is, Mandy, that many of the people who were forced out of their houses come back to the street markets and tell us how much they would love to move back in. So part of our negotiations with the potential redevelopers of the properties is about making sure the places are still affordable. This is not a suburb, any more than it’s a load of swanky downtown apartments – and it mustn’t end up being priced like either. Yes, the endings in autumn are always a bit sad. For me the best thing has been to find what there is to love in all of the seasons, knowing that without the dying back of now, there couldn’t be a spring.